Opinion: Which developer could be working on the 2014 Call of Duty game? There are always rumors about what the next Call of Duty game will be, and who will be developing it. Ever since Call of Duty 3, the developers weren’t hard to guess – Infinity Ward and Treyarch switched off year after year. But now it seems like there’s a possibility of a third developer entering the scene: Sledgehammer Games. Sledgehammer Games worked with Infinity Ward to Co-Develop Modern Warfare 3 – the best entertainment franchise of 2011. 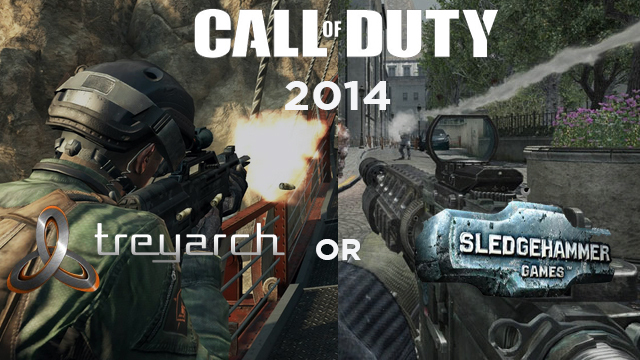 Which developer will be taking the lead for 2014: Treyarch or Sledgehammer Games? We’re going to list the facts about both studios. Rumors have surfaced that Sledgehammer Games could be working on a new Modern Warfare game – maybe MW4 or branch out of the Modern Warfare line. An employe’s Linkedln profile stated that he was working on a new Modern Warfare game. Sledgehammer Games has been actively recruiting new employes for a ‘ambitious’ new CoD project for over two years now. If you look at Sledgehammer Games’s Linkedln account, there’s 15 jobs currently available – many of them being the temporary ones, and jobs related to the QA position. With many temporary jobs and the QA position being opened up, it seems like the studio is in fact gearing up to deliver something new very soon. The general leading idea toward Treyarch coming in 2014 is the Call of Duty pattern. Infinity Ward came with Ghosts this year, so fans would assume Treyarch is coming back next year with a new game, which is reportedly a new Black Ops game, although nothing is official yet. The actor behind Frank Woods later tweeted that he would be back in 2014, although we don’t know what the really means. It could mean either he himself will be going back to Treyarch or a new game. But, there are a few things that seem to put us off on believing Treyarch is coming in 2014. They have 16 job positions currently available, but a majority of those have been on Treyarch’s job page for over two years now. None of those jobs are “temporary” or QA, and you’d expect a few of those if you’re gearing up to launch a new game within the next year. The job listings could be mean absolutely nothing, and the fact that the current 2 year dev cycle is working could lead to a new Treyarch game coming in 2014. It ends up being a factor upon which studio Activision wants to release a new game from. 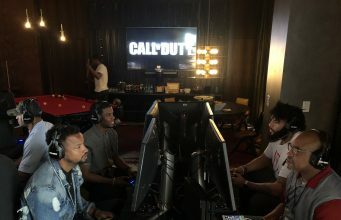 With the new generation of consoles, Activision could be looking at ways to change the Call of Duty formula by implementing a new 3-year dev cycle. This would mean that Infinity Ward, Treyarch, and SHGames will be switching off, which could help the developers implement new technology and features with the extra year of development. In regards to which consoles and platforms the next Call of Duty game will be on, it’s expected that it will come to Xbox One, PS4, PC, and the Xbox 360 and PS3. Most of the current job listings even state experience with Xbox 360 and PS3 is needed, which leads us to believe Activision isn’t abandoning the “last gen” consoles for 2014. What do you think? Which developer will be coming next year?